1. 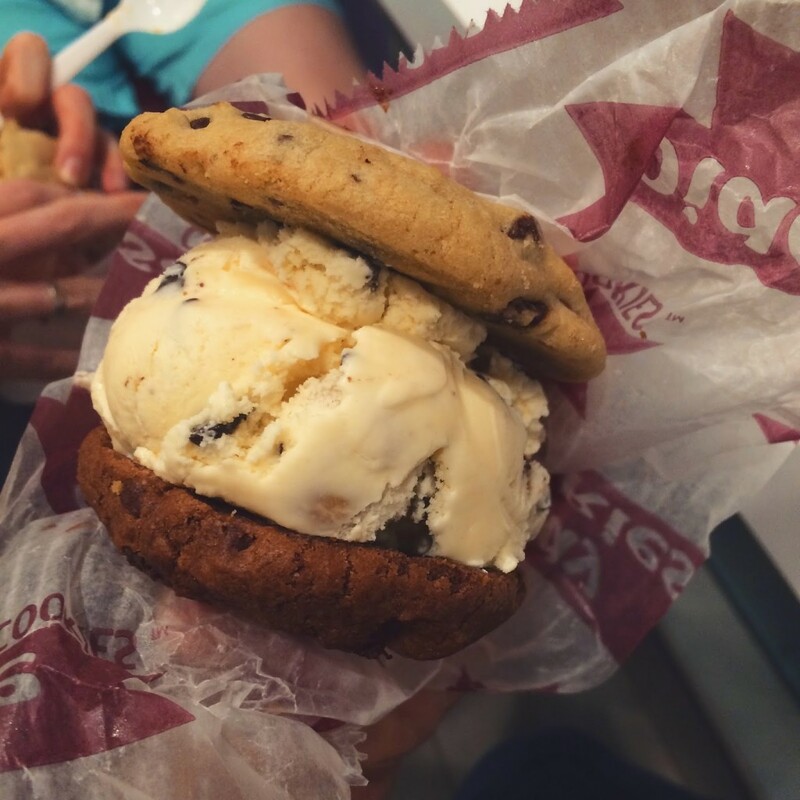 I had the most delicious epic cookie ice cream sandwich: Chocolate Chip Cookie, Chocolate Chip Cookie Dough Ice Cream, Chocolate Chocolate Chip Cookie. AMAZING. 2. Just under 3 weeks left in Los Angeles and it’s starting to sink in. I’ve given in my official notice at work, even though they knew 2 months ago. I’m making good headway through my LA Bucket list. My mom and I have booked all the places we’re staying on our roadtrip. I’m starting to not buy groceries so I can just eat up everything I have, so I can waste as little food as possible. It’s real. 3. I know it’s been FOREVER since I last did a Thursday things, but I have this problem where thursday is typically a busy day for me and then I forget to write the post and then it’s Friday. And you can’t write Thursday Things on a Friday. Nope. 4. I know this is weeks old but ALL THE FEELS: Snape’s scenes in chronological order. Actually teared up. 5. I absolutely LOVE Sondheim. I was The Baker’s Wife in Into the Woods twice and Dot/Marie in Sunday in the Park with George, so reading this, in honor of his 85th birthday, was wonderful. 6. I started Orange is the New Black about two weeks ago and finished both seasons in maybe 7 days? It was insanity for awhile. 7. Going to Santa Barbara this weekend and so excited for relaxing, beach, hiking, and maybe some wine or beer tasting!